This might seem like a frivolous topic, but it is something that keeps popping back into my mind, so maybe I'm supposed to bring it to light. If any of you have teenage children or grandchildren, then you are no doubt aware of the popularity of zombies and vampires in our culture of entertainment. And if you're not informed about this phenomenon, then perhaps you should be. 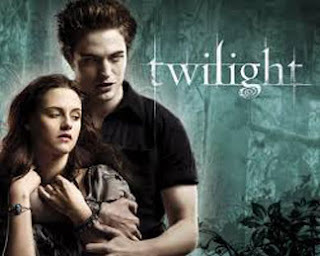 From TV shows like The Walking Dead, The Vampire Diaries and True Blood, to the wildly popular Twilight series, these dark entities have captured our kids' imaginations. It's not only TV shows; it's books and movies, too. As an article on Charismanews.com cited, the undead genre, as it is sometimes called, is wildly popular among adolescents and young adults. Some national bookstore chains have entire sections devoted to "teen paranormal romance," featuring such titles as Boys That Bite and I Kissed a Zombie, and I Liked It. But teenagers aren't the only target audience. Book series such as Vampirates and Diary of a Zombie Kid are recommended for elementary-aged children! Candy Tolbert, director of National Girls Ministries for the Assemblies of God, says, "It's a very lucrative market. Girls as young as 11 are being sucked into this fantasy world where death and spiritual perversion are glamorized." And if you think this is no different than the Dracula or Frankenstein movies of our era; think again. In my childhood, those creatures were seen as monsters; abnormal and to be feared and abhorred. In today's culture, these beings are being romanticized; they are often depicted with the same appeal as any rock or movie star. Also, the occult and spiritual darkness are normalized, and our teens are encouraged to accept those that are "different", and even engage in romantic relationships. This is a very dangerous fantasy world that is being perpetuated! Studies have shown that during adolescence, our teenagers brains are still developing. They tend to use the part of their brain (the Amygdala) that is reactive and emotional, rather than the Frontal Cortex which determines judgment and reasoning. So presenting dark spiritual forces in an emotional, romantic, fantasized light will certainly distort the reality of the dark, demonic world. The entertainment industry has found a way to paint a picture of a counterfeit spirituality that is exciting and appealing to our youth. Satan, through entertainment, has found a successful way to remove the stigma of "religion" from this genre. The line is erased between angels and evil spirits, heaven and hell, good and evil. It is easy to lure teens and young adults into a false image of the supernatural. Vampires become heroes and zombies become mainstream. But it is all a form of darkness that leads our youth away from Spiritual truth and into unhealthy and un-Scriptural ideas of the afterlife. Try watching one of these shows, or read one of the books. What might appear "campy" at first, is soon revealed to be dark and enticing. Make sure you know what the kids in your life are being exposed to. Shine a light on it and remove the darkness from their midst. Psalm 52:2 "Your tongue plots destruction, like a sharp razor, you worker of deceit." I don't think this is a frivolous topic at all. Hollywood is doing it's best to pollute young minds. Entertainers like Beyonce, Jay-Z, Rihanna and Lady Gaga openly worship demonic forces. TV is being bombarded with this garbage. When our children see the fame and fortune of these people I'm sure it's very tempting to follow their example. When I was a kid we watched Roy Rogers and Dale Evans, Sky King, and The Lone Ranger. We knew who the bad guys were and good always triumphed over evil. Sadly those days are gone. Yes, and those characters were not afraid to talk about God or our need for Him in our lives. It's a long way from Roy Rogers to Twilight.... and in such a short time!